Welcome to the MG Car Club, Rocky Mountain Centre website! Rallye Glenwood Springs is the oldest continually-held Time Speed Distance Rallye in the United States. 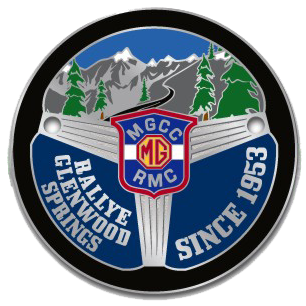 Join us for the 67th Annual Rallye Glenwood Springs, June 7-9, 2019. Due to the expected storm, the April meeting has been postponed 1 week. Due to the snow expected this week, we’re pushing the meeting to next week.